I’m doing some lab work with my team at the moment and we were gifted some hardware to do some multi region validation. Both systems (a VxRack SDDC & a VxRail) are in 2 separate datacenters, and both are using private IP addressing that is not routable between datacenters. As part of the validation we need both systems to be able to communicate with each other, however we dont control the inter lab switching to put in place the necessary routes to enable this. Rather than go through a change control process with the keepers of that gate we decided to get creative and have some fun (and hopefully learn something!) 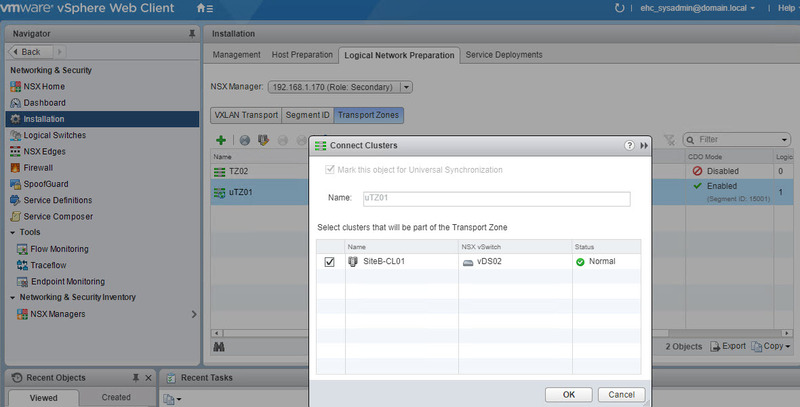 by setting up an NSX IPSec VPN between the labs. Disclaimer: There are many better ways to do this for a permanent lab setup (i.e. BGP to the core with routes) but this was done on borrowed kit that was never initially designed with inter lab routing as a requirement, with no direct control on the inter lab switches, and we would also like to put it back the way we found it so dont want to make sweeping architectural changes! Generic function to connect to a VIServer (ESXi or vCenter). 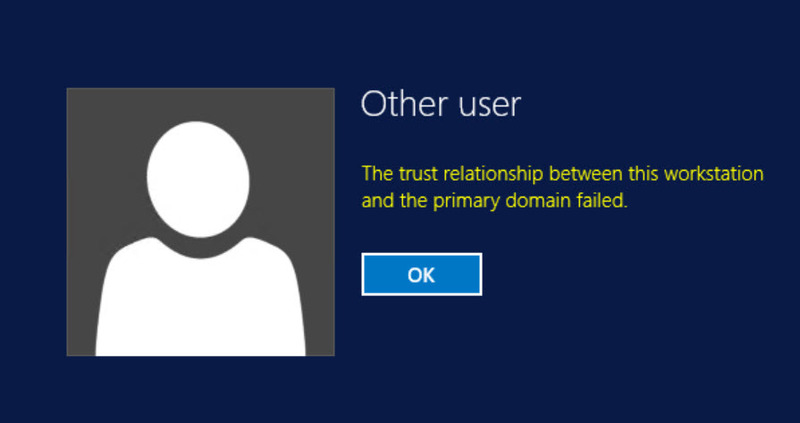 Just pass the hostname, user & password. 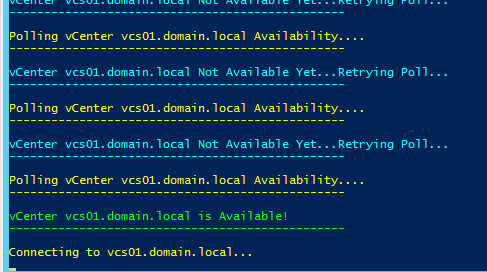 This instance connects to vCenter as we need to perform a DRS operation. The ChangeDRSLevel function takes an argument for the level to set it to. In this case it sets it to partially Automated to stop DRS from moving VMs around. This function will startup the VMs in the reverse order defined in $VMList. 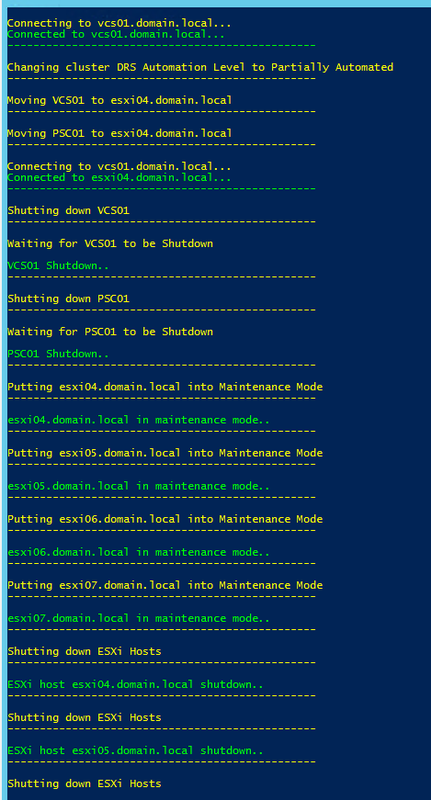 In this case it will startup the PSC first & then the vCenter. The ChangeDRSLevel function takes an argument for the level to set it to. In this case it sets it to Fully Automated as we are done with the maintenance. # Provided with zero warranty! Please test before using in anger! 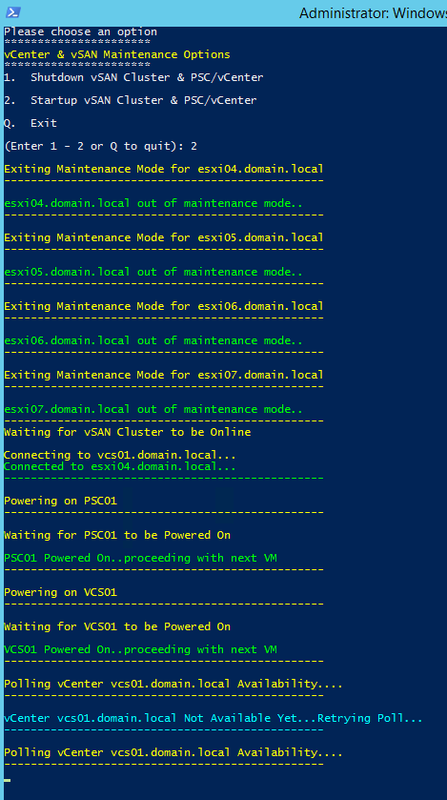 I’ve been doing some lab work recently, testing out some new automation for deploying Dell EMC Enterprise Hybrid Cloud (EHC) and as part of the testing we needed to be able to quickly and easily create on the fly rollback points at incremental steps in the build to assist with troubleshooting (outside of the standard rollback points created by the EHC Automated Install Tool (AIT) ). Note: AIT is currently an internal Dell EMC tool used by our professional services organisation to deploy and configure EHC on a customer site. Disclaimer: As with all scripts and code that you find on the web you should thoroughly test this in a lab environment before considering to use it in production. This script comes with zero warranty as it was something that was created quickly for lab use only! 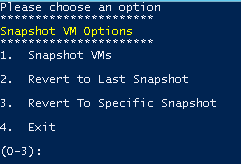 Snapshots were enough to give us a rollback point, so to achieve this I put together a menu based PowerCli script that will take snapshots of a defined list of VMs with a defined snapshot name, rollback to the last snap taken, or rollback to a defined snapshot. For more information on how to add a menu to a PowerShell script go here, and for how to add a “Press any key to continue..” to a script go here. Select the desired option from the menu. The operations are running Async so are quite quick to complete. Write-Host "Creating Snapshot for $VM"
Write-Host "Reverting Snapshot for $VM"
I use then when using a PowerShell Menu (See more about that here). You can edit the text in the quotes on line 3 to suite your use case. In my case i am calling the Menu function on line 5 so that when a user presses a key it will revert to the script menu. Simples! When sharing scripts that can do multiple operations with other teams I find that adding a simple operator menu that presents a list of choices makes it easier for folks to use the scripts. Here is the simple menu that i add to a lot of my scripts and a quick explanation of how it works. The menu is created using a PowerShell Function called Menu (This can be anything really but i like to keep it simple!). Within the function we start with a Clear-Host – this will ensure that the menu starts on a clean PowerShell session screen. EDIT: Modified the exit option to be Q for Quit to keep all menus consistent. Thanks to SiliconBrian for the suggestion! 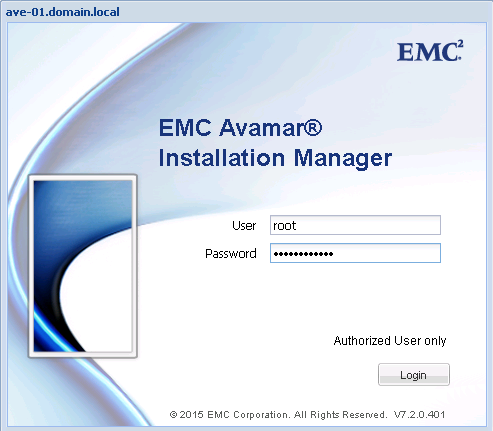 I am running EMC Avamar Virtual Edition 7.2 and need to apply a hotfix to resolve some bugs. Note this process is disruptive to Avamar services.